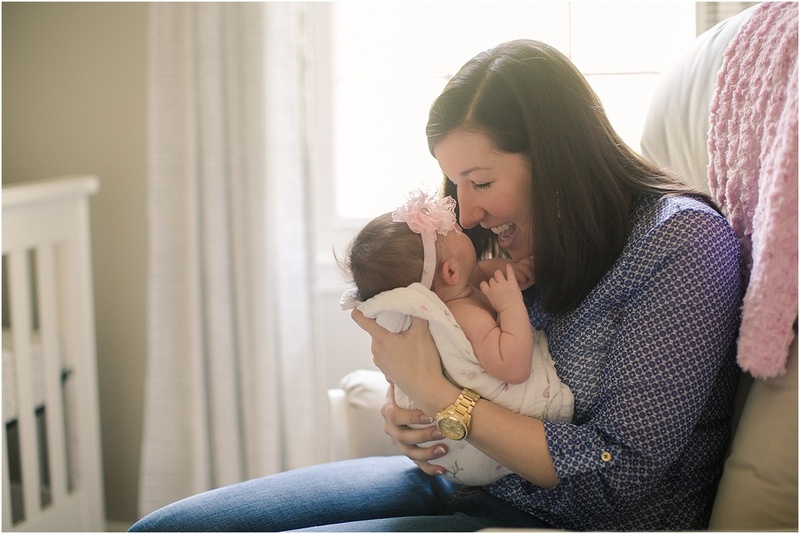 When Lisa first contacted me about doing a lifestyle newborn session for her daughter, she was already a few weeks old, and typically these sessions are scheduled around the 1-2 week mark. Even though that window had passed, I knew how important it would be for Lisa and Lee to have these photos taken while their first baby girl was still so little! Kayla was an angel for her session, and although she wasn't as sleepy as most newborns are she was the sweetest and I loved getting to capture her expressiveness! I can already tell she is going to grow up and be one gorgeous, just like her mama!